IHOP Changes Name to IHOb. The "b" is for burgers. The IHOP® Restaurant chain announced that it is going by a new name – IHOb. For burgers. Since the news broke last week on the brand's social media sites, fans couldn't get enough with more than 30,000 people speculating what the change could "b", guessing everything from bacon to brunch to bananas. The change, in fact, celebrates the debut of the brand's new Ultimate Steakburgers, a line-up of seven all-natural burgers. Each Ultimate Steakburger starts with 100% USDA Choice, Black Angus ground beef that is smashed on the grill to sear in the juices and flavor before being topped with premium ingredients and sandwiched between a buttered and grilled Brioche bun. According to a company spokesburger, "These burgers are so burgerin' good, we re-burgered our name to the International House of Burgers!" To show the brand is as serious about burgers as it is about its world-famous pancakes, it's flipped the "p" to a "b" in their iconic name, including its Twitter handle and other digital and social feeds. 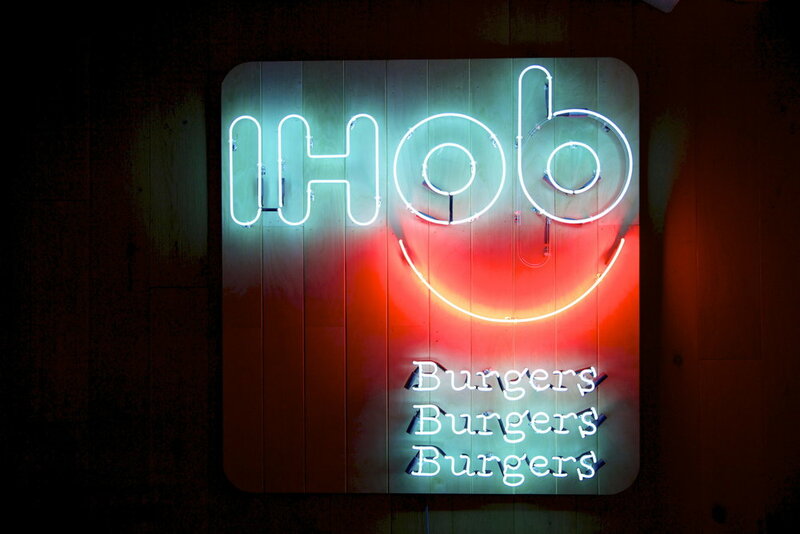 A flagship IHOb restaurant in Hollyburgerwood, CA, has also been completely re-burgered and will play host to the VIB launch party the evening of June 11. But even those who aren't near Los Angeles can get in on burgermania at IHOb -- new Ultimate Steakburgers are available nationwide and for a limited time, come with unlimited fries and a drink starting at $6.99 at participating burgers. Watch burgers here.